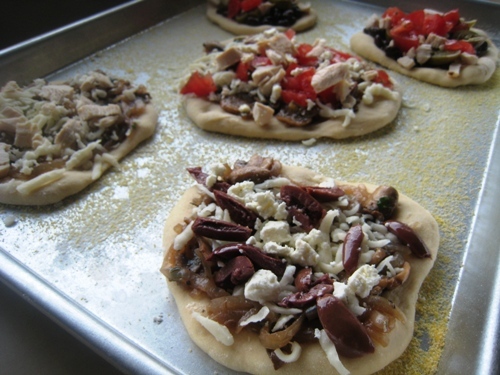 Mini pizzas make for a fun and easy pizza night. Make a big batch for freezing and cold-pizza breakfast, too. We are big pizza lovers at our house. It seems like my kids are asking for pizza at least twice a week. I make my own pizza so that we can afford to eat this way. Recently, I’ve been switching things up: creating new pizza toppings, playing with new dough recipes, and shrinking our pizzas. Most of us like to have our “own” pizza, kids in particular. So, making them mini-sized makes it more fun for everybody. You can dish up one pizza per plate and everybody has his own little pie. No squabbling! 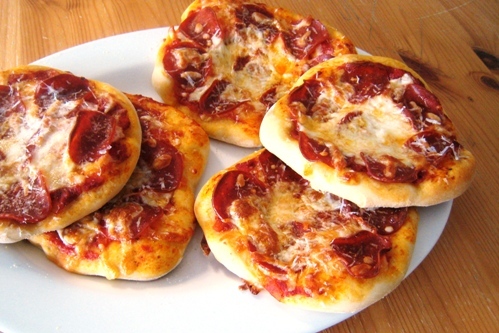 Mini pizzas are easily customizable. I am a huge mushroom fan. I love mushrooms on my pizza. But, not everyone in my family feels the same way. With mini pizzas, I can make my pizza to please me — and so can they. An added bonus is that I can experiment with a variety of toppings without feeling like I’m taking too many risks. 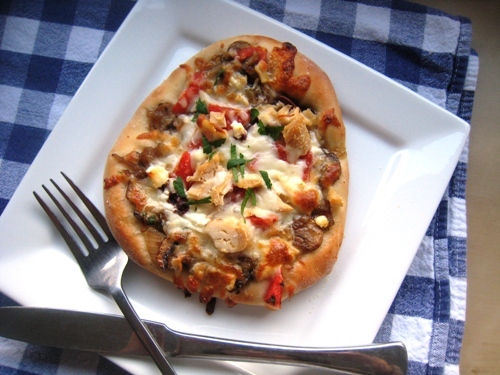 It makes for a fun pizza night when we try all kinds of different combinations without fear of “ruining” a whole pie. Mini pizzas are portion controlled. Unfortunately, there is such a thing as too much of a good thing. Pizza, included. Overeating somehow takes away from the overall enjoyment of the meal. We tend to feel bloated afterward. Enough is as good as a feast. If you’ve already divvied up your pizza into portions, you can more easily limit yourself. I find that once a pizza is cut into, you’re going to want to eat the whole thing. Slices don’t reheat as well as whole pies. Likewise, one wouldn’t really freeze individual slices for later eating, but a whole pizza? Sure. Having a stash of mini-pizzas waiting in the freezer makes it easy to indulge your pizza craving, night or day. Preheat the oven to 500 °. Spray baking sheets with nonstick cooking spray and sprinkle with corn meal to prevent sticking or line the pans with parchment paper for easier cleanup. Divide the dough into 16 or 20 portions. Flatten each portion into a thin round and place on the cooking sheet. Spread sauce and sprinkle toppings as desired. To freeze: wrapped cooled pizzas in foil or plastic wrap and stash in a larger ziptop freezer bag. Thaw and reheat in a 350 oven for about 5 minutes. LOL your homeschooling brain is showing. Slices of foil wrapped frozen pizza are a prime lunchbox element here! That said I have a batch of Artisan Pizza in 5 dough in the fridge which will become some smaller pizzas tonight – leftover meatloaf will substitute for meatballs for the girls, canned mushrooms for the boy, not sure what will float my boat. Will have to ask my feta-chomper if she’d like some of that on her pie! You’ve given me a craving! When I was growing up, my mom would make these but use biscuit dough instead of pizza dough. Yum! I think I’ll have to make some…soon. We make homemade pizza every Friday night and love it. 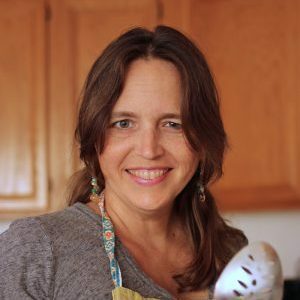 I did a post once, breaking down the cost of making our own vs. ordering out – a HUGE difference, plus it was damage control on our digestive systems. It’s a family affair, and hope it is a memory for the kids as they get older. I hadn’t thought about freezing pizzas… that may be an option as we get further into homeschool. Thanks Jessica & Cherie for the idea! 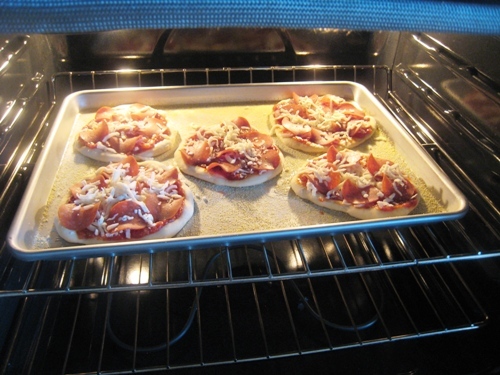 @Tiffany @ DontWastetheCrumbs, I froze small pizzas long before homeschooling. LOL. I just like pizza. do you freeze them after you cook them then just toss int he microwave to warm??? @Becca, cool completely after baking, wrap in foil and slip into a freezer bag. Then thaw and reheat in a 350 oven for 5 to 10 minutes. Can you share a little more about what you put on the ones you freeze, when in the process you freeze them, and how you store them? I’m thinking this could be a great thing for us but I’d love to know more about how you recommend going about it. Thanks so much, for this and for all your great posts! I simply cool the extra pizzas, wrap in foil and stick them in a freezer bag to freeze. To reheat, I find it best to thaw completely and then reheat in a 350 oven for about 5 to 10 minutes, until the cheese is melted. You could nuke them, but the crust will be rubbery. @Jessica, Thank you so much for the information! 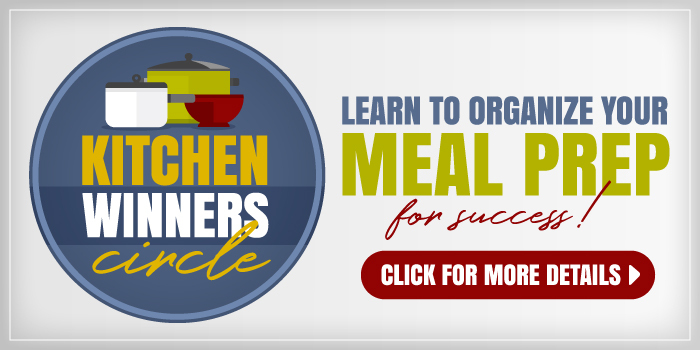 (Had your baked chicken tonight for dinner and love your recipes!) Thanks again. @Deborah, thanks for your kind words! Perfect timing. Really, how did you know pizza is on the menu? I will be doing this because we all like different things on our pizza. @Micha, it’s Friday night, isn’t it? Whenever my kids have friends over we do individual pizzas. I put all the topping in separate bowls and they get to create their own pizza. They love it. This is making me hungry! Love the idea. Thank you! I too love mushrooms, unlike the rest of my family, I’m in the minority. Just wondering if you know much about mushrooms, you’ve probably got the E-mail from Abundant Harvest about mushrooms. The price seems a little rich for my blood, but maybe you know something I don’t and they are actually selling for a good price and are worth snatching some up while they’re around. What do you think? @NIA, I didn’t get the email until a week after you asked this question. I’m not really sure. It’s low on my priority list, though. I would love to make these for my always hungry pizza loving teenager. How long would you estimate it takes to thaw a mini pizza? I am just wondering if this is something he could fix after school or if we would need to plan for it and set it out to thaw. He’s used to the boxed cheapo (that aren’t really so cheap) pizza, which offers almost instant gratification. 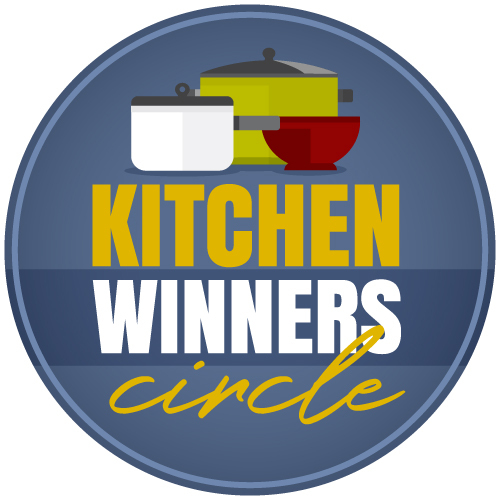 Thanks for the awesome post and any info you or your readers could offer. Just thinking about the money I could save by doing this makes me a little giddy! I think it would thaw on the counter in about 30 minutes but I’ve reheated them from frozen without a problem. @Jessica, Thanks for responding so quickly. Can’t wait to make these! Love your blogs.